When Andrew Robertson slipped on the Anfield turf late in the second half of Liverpool’s victory over Chelsea on Sunday, there was a brief silence as the ghost of 2014 reared its head. 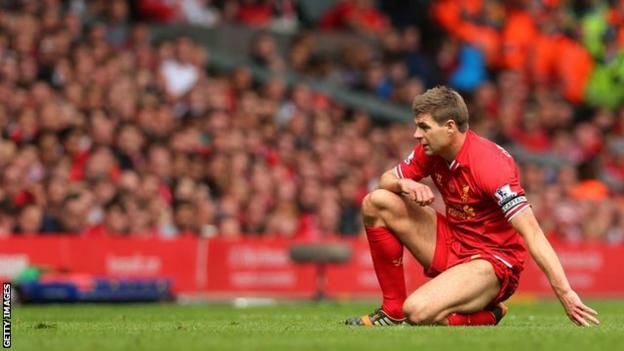 Liverpool might have been leading 2-0 at the time, but after constant reminders of the same fixture five years ago when Steven Gerrard’s fall gifted Chelsea their opening goal on the way to a victory that undid the Reds’ title challenge, it was clear some of the scars remained. So when Liverpool finally recovered the ball and danger was averted, it was no surprise that a cheer rang around the stadium. Jurgen Klopp even smiled on the touchline. Everyone knew the significance of the moment. After watching Sadio Mane and Mohamed Salah score within the space of two minutes to earn a 2-0 lead, it was final confirmation that this time, it would be different. 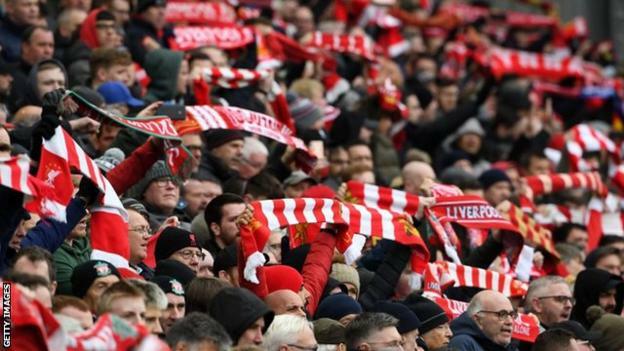 Liverpool passed the test that wracked the nerves of so many fans beforehand. Klopp said on Friday that the game in 2014, which helped Manchester City to the title, had no bearing on his team this time around. And he was right. From their tactics, to their personnel and an unwillingness not to be distracted by outside forces, Liverpool banished the memory of ‘the slip’ forever, according to the German. 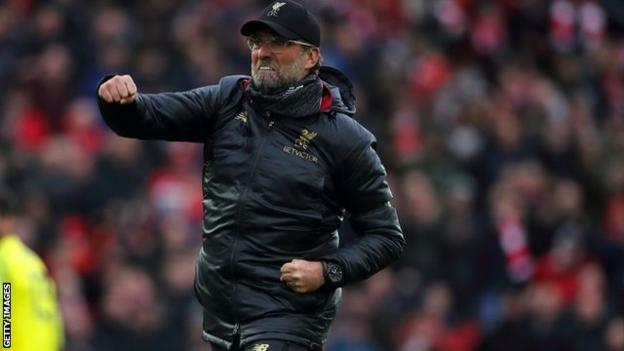 In one of the tightest title races in years, it was another sign that Klopp’s side might have enough going for them to win a first league championship in 29 years. There are many ways in which this Liverpool team is different to the 2014 one, not least in terms of experience, but the approach of fans and the club has changed too. 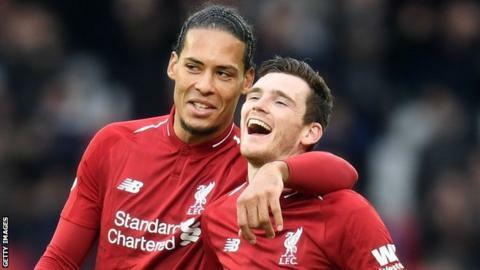 By the time of the match in 2014, which was later on in the season, Liverpool had won 11 successive league games, and looked to be closing in on the title. The fans could sense it and they let it show. For home games, they surrounded the team bus down the Anfield Road approach to the stadium, lending matches a carnival-like atmosphere. Being in the hunt for this year’s Premier League appears more normal. Of course the club are desperate to end their long wait, but with Manchester City two points behind with a game in hand, there are no premature celebrations. Even at the end of Sunday’s game, the Kop sang about Liverpool being top of the league, not winning it. Back in 2014, the carnival atmosphere proved a misjudgement, aggravating then Chelsea boss Jose Mourinho, who brought his usual gift for tactical controversy to the encounter. He described the pre-match party a “circus” and complained his team had been cast as “clowns”. Reds boss Brendan Rodgers said their opponents had “parked two buses” that day and admitted his team could not cope. Klopp’s side now, like Rodgers’ then, are arguably the best attacking team in the league, but they are more tactically flexible and also know when to bide their time rather than getting frustrated if they cannot score early. Liverpool have scored a league-high 21 goals in the final 15 minutes of games this season, but they did not need to wait that long as Mane and Salah struck in the space of two minutes shortly after the break. Not for the first time this season, Liverpool also responded to a City win by holding their nerve to produce three points of their own. Liverpool may have been helped by coming up against a Maurizio Sarri side more focused on their own style than disrupting the opposition but, mentally, Klopp’s team look stronger than their predecessors. Critics often point out that Klopp has yet to win anything with Liverpool despite a hefty budget but the German has been here before. Klopp said after the game: “What we want to do is collect as many points as possible. That’s 85 points now, so with four games to play that means [we can get] 97. “Let’s try that and if that’s enough, perfect. If it’s not, we cannot change it. We didn’t lose it here or there. Very smart people say ‘if you’d beaten Leicester you’d be champions’ and stuff like this. Klopp’s side are now one point short of the title-winning total City reached in 2014 – but with four games remaining. Whether that offers any genuine solace if they finish second remains to be seen, but Klopp was at pains to suggest it will.